Get 68% Off with PCMag Shop coupons, promo codes and deals in April 2019. Seize the deal before it’s gone. Check out $1,800 off Samsung Q9F QLED Series 4K UltraHD HDR Smart TV + Free Shipping at PCMag Shop now. Find more discounts and offers from PCMag Shop just at CouponAnnie in April 2019. Seize the deal before it’s gone. 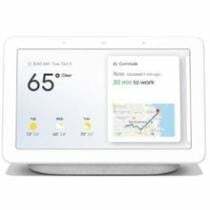 Check out 47% off Google Home Hub Smart Display w/ Google Assistant + Free Shipping at PCMag Shop now. Find more discounts and offers from PCMag Shop just at CouponAnnie in April 2019. Seize the deal before it’s gone. 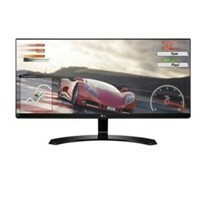 Check out $150 LG 27" Full HD LED Monitor + Free Shipping at PCMag Shop now. Find more discounts and offers from PCMag Shop just at CouponAnnie in April 2019. 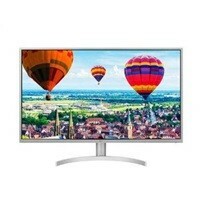 * PCMag Shop has the LG 32QK500-W 32" QHD LED IPS Monitor for a low $279.99 Free Shipping. This is normally $350 so you save 20% off. 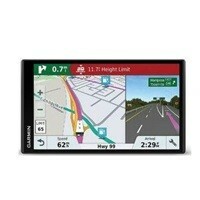 * PCMag Shop has the Garmin RV 770 NA LMT-S RV Dedicated GPS for a low $349.99 Free Shipping. This is normally $400 so you save 13% off. 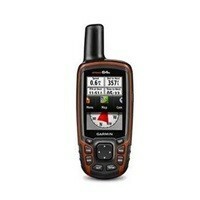 * PCMag Shop has the Garmin GPSMAP 64st Worldwide Handheld GPS w/ 1 Yr. BirdsEye Subscription Preloaded for a low $259.99 Free Shipping. This is normally $300 so you save 14% off with this deal. 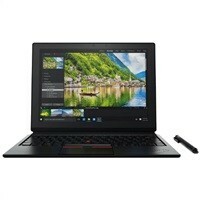 * PCMag Shop has the Off-Lease Refurbished Lenovo ThinkPad X240 Intel Core i5-4300U 12.5" Win10 Pro Ultrabook Laptop with 18 Month Warranty for a low $299.99 Free Shipping. This is originally $400, so you save 25% off. 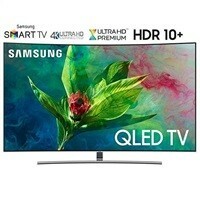 * PCMag Shop has the Samsung QN65Q7CNA 65" 4K UHD QLED Curved Smart HDTV for a low $1899.99 Free Shipping. This is originally $2700, so you save over $1000 with this deal. 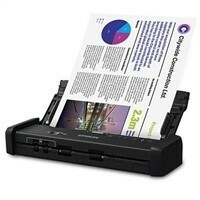 * PCMag Shop has the Refurbished Epson Workforce ES-200 Color Portable Document Scanner w/ 1 Year Epson Warranty for a low $134.99 Free Shipping. This is originally $230, so you save nearly $100 off by buying it Refurbished. 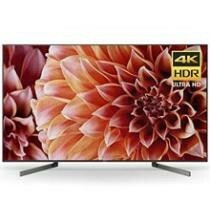 * PCMag Shop has the Sony A9F Master Series 65" 4K UltraHD HDR OLED Smart HDTV for a low $3825.00 Free Shipping after Coupon Code: "PCMAG15" (Exp soon). This is originally $4500, so you save $675 off with coupon. This gets terrific reviews for build quality AND picture quality over at Rtings.com. This is the first time we've seen it discounted. 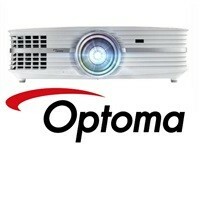 * PCMag Shop is offering up to 22% off vs new on select Optoma Projectors with 90 Day warranty. 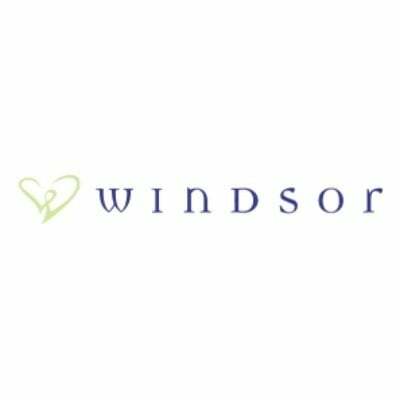 Potentially get out of state tax savings. Seize the deal before it’s gone. Check out Nikon D3500 24.2MP DSLR Camera w/ 18-55mm + 75-300mm $429.99 at PCMag Shop now. Find more discounts and offers from PCMag Shop just at CouponAnnie in April 2019. 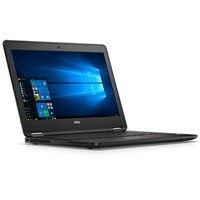 * PCMag Shop has the "Grade A" Refurbished Dell Latitude 12 7290 Intel Core i5-7300U 12.5" Laptop w/ 16GB RAM, 256GB SSD $620.50 Free Shipping after Coupon Code: "PCMAG15" (Exp 3/8). This normally retails for $1389, so you're saving 55% off with this deal. * PCMag Shop has the HP Pavilion 790 Intel Core i5-8400 Gaming Desktop w/ Nvidia GTX 1060, 8GB RAM, 1TB HDD (790-0021) for a low $620.50 Free Shipping after Coupon Code: "PCMAG15" (Exp 3/4). This normally retails for $849, so you're saving 27% off with this deal. Seize the deal before it’s gone. 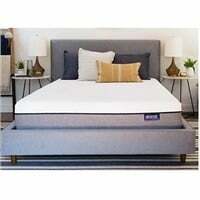 Check out Simmons BeautySleep & BeautyRest Memory Foam Mattresses from $340 [Sleep Trackers Starting at $459] at PCMag Shop now. Find more discounts and offers from PCMag Shop just at CouponAnnie in April 2019. * PCMag Shop has the Off-Lease Refurbished Dell Precision M2800 Intel Core i7-4810MQ Quad-core 15.6" 1080p Win10 Pro Laptop w/ 16GB RAM, 256GB SSD & 1 Year Warranty for a low $399.99 Free Shipping. Tax in NY, NJ, CT, TX. This is originally $795, so you save 50% off. 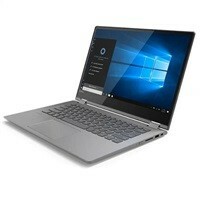 * PCMag Shop has the Refurbished Lenovo Flex 6 Intel Core i5-8250U Quad-Core 14" 1080p 2-in-1 Touch Laptop w/ 90-Day Warranty for a low $659.99 Free Shipping. This is originally $850 so you save $190 off. Seize the deal before it’s gone. 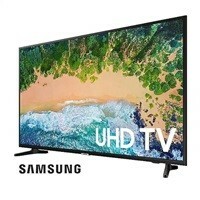 Check out Samsung NU8000 4K HDR 120Hz Native HDTV 82" $2449 | 65" $1079 | 55" $799 at PCMag Shop now. Find more discounts and offers from PCMag Shop just at CouponAnnie in April 2019. 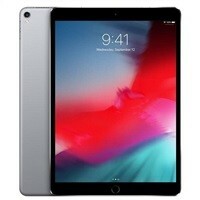 * PCMag Shop has the Refurbished Apple iPad Pro 64GB 10.5" WiFi Tablet (Space Gray) w/ 90-Day Warranty for a low $519.99 Free Shipping. This is originally $650, so you save $130 buying refurbished. * PCMag Shop has the HP ProDesk 400 G5 Intel Core i5-8500 6-Core 1TB SFF Tower Desktop w/ 90 Day HP Warranty, for a low $529.99 Free Shipping. Tax in NY, NJ, CT, TX. This normally retails for $999.99 so you're saving 20% off with this deal. * PCMag Shop has the 2nd Gen Nest Protect Smoke & Carbon Monoxide Alarm for a low $119.99 Free Shipping. Tax charged in NY, NJ, CT, TX only. This is currently the lowest price we could find an $10 less than elsewhere. 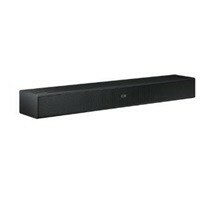 * PCMag Shop has the Samsung HW-N400 TV Mate 2.0ch Soundbar for a low $169.99 Free Shipping. This is originally $230, so you save 26% off. * PCMag Shop has the Uniden DFR7 Super Long Range Radar Detector w/ GPS for a low $127.50 Free Shipping after Coupon Code: "PCMAG15" (Exp 3/15). This is normally $169, so you save $41 off. 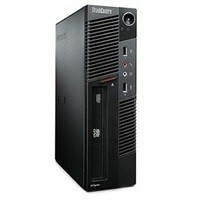 * PCMag Shop has the Off-Lease Refurbished Lenovo ThinkCentre M91p Intel Core i5-2400S Win10 Pro Ultra Small Form Factor Desktop with 1 Year Warranty for a low $239.99 Free Shipping. This is originally $300, so you save 20% off. Seize the deal before it’s gone. 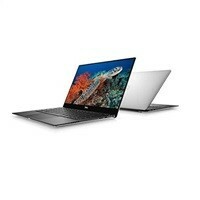 Check out Dell XPS 13 9370 Intel Core i7 Quad-Core 13.3" 4K Laptop (Refurb) $1349.99 at PCMag Shop now. Find more discounts and offers from PCMag Shop just at CouponAnnie in April 2019. Seize the deal before it’s gone. 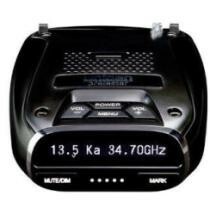 Check out $149 Uniden Super Long Range Radar Detector w/ GPS + Free Shipping at PCMag Shop now. Find more discounts and offers from PCMag Shop just at CouponAnnie in April 2019. * PCMag Shop has the Off-Lease Refurbished Lenovo ThinkPad T440p Intel Core i7-4600M 14" Laptop w/ 256GB SSD for a low $399.99 Free Shipping. Tax in NY, NJ, CT, TX. This normally retails for $500, so you're saving 20% off with this deal. 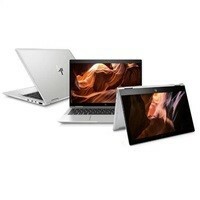 * PCMag Shop has the Off-Lease Refurbished HP Elitebook x360 1020 G2 Intel Core i7-7600U 12.5" 1080p 2-in-1 Touch Win10 Pro Laptop w/ 16GB RAM, 512GB SSD & 1 Year Warranty for a low $809.99 Free Shipping. A similarly spec'd new HP Elitebook x360 goes for $2,134 at HP, so you save 58% off buying refurbished. 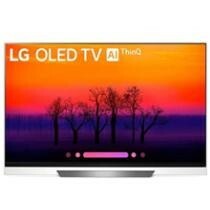 * PCMag Shop has the 2018 LG OLED55E8PUA 55" OLED 4K UltraHD HDR Smart AI ThinQ HDTV for a low $1316.65 Free Shipping after Coupon Code: "PCMAG15" (Exp 3/4) Tax in NY, NJ, CT, TX. Amazon has this for $2397, so you save over $1900. This is has a far sleeker glass floating design and is less than $221 apart from the lower tiered B8 or C8 models. 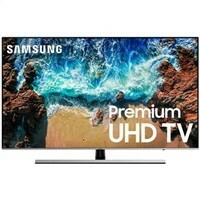 * PCMag Shop has the Samsung UN55NU6900 55" 4K UHD Smart TV (2018 Model) for a low $549.00 Free Shipping. Tax in NY, NJ, CT, TX. 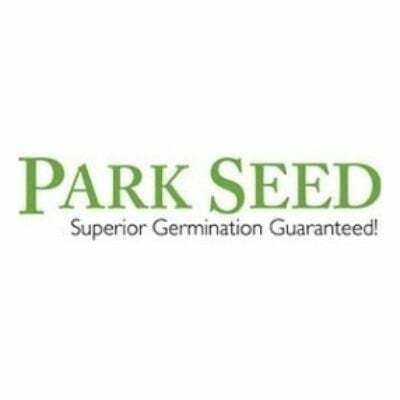 Save $50 off retail price. Seize the deal before it’s gone. Check out Dell Optiplex 7010 SFF Intel Core i5-3470 Quad Win7 Pro Desktop (Off Lease) $160.65 at PCMag Shop now. Find more discounts and offers from PCMag Shop just at CouponAnnie in April 2019. 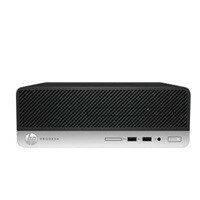 * PCMag Shop has the Off-Lease Refurbished HP Elitedesk 600 G1 Intel Core i5-4570 Quad-Core Win10 Pro Desktop w/ 16GB RAM, 240GB SSD & 1 year warranty for a low $399.99 Free Shipping. Tax in NY, NJ, CT, TX. This is originally $500, so you save 20% off with this deal. 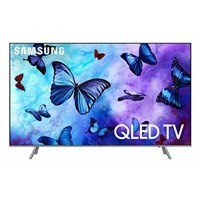 * PCMag Shop has the Samsung QN65Q8FNB 65" 4K 120Hz Native Smart QLED TV (2018 Model) for a low $1870.00 Free Shipping after Coupon Code: "PCMAG15" (Exp 3/11). This is $428 less than Amazon's price and the lowest price we've seen on this 8-Series QLED - lower than Black Friday or Cyber Monday. 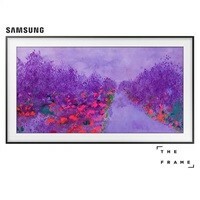 * PCMag Shop has the Samsung UN55LS03NAFXZA 55" 4K UHD The Frame Smart LED HDTV (2018 Model) for a low $1,399.99 Free Shipping. Tax in NY, NJ, CT, TX. This is originally $1,800, so you save 22% off with this deal. Seize the deal before it’s gone. Check out $201 off Sony 4K Ultra HD Smart LED TVs (2 Sizes Available) + Free Shipping at PCMag Shop now. Find more discounts and offers from PCMag Shop just at CouponAnnie in April 2019. Seize the deal before it’s gone. 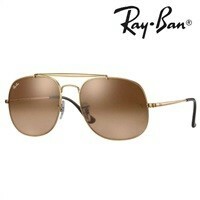 Check out Ray-Ban Sunglasses from $74.99 + Free Shipping at PCMag Shop now. Find more discounts and offers from PCMag Shop just at CouponAnnie in April 2019. 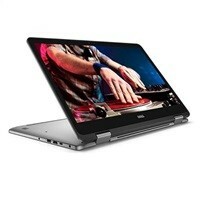 * PCMag Shop has the Refurbished Dell Inspiron 15 5579 Intel Core i7-8550U Quad-Core 15.6" 1080p 2-in-1 Touch Laptop w/ 16GB RAM, 512GB SSD, & Warranty until Nov 20, 2019 for a low $819.99 Free Shipping. Tax in NY, NJ, CT, TX. This is originally $900, so you save 13% off. 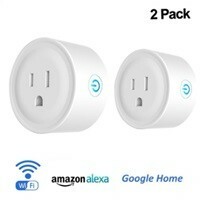 * PCMag Shop has the Deco Gear WiFi Smart Plug (2-Pk, Compatible w/ Alexa & Google Home) for a low $21.99 Free Shipping. Tax in NY, NJ, CT, TX. This normally retails for $39.95, so you're saving 45% off. 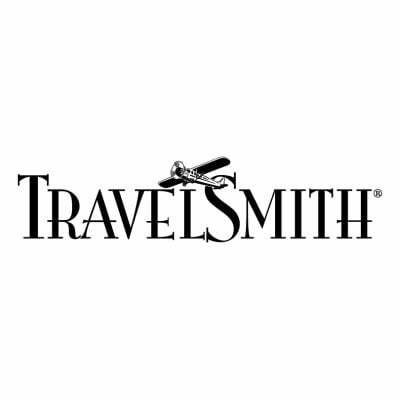 * PCMag Shop has the Samsonite Omni Hardside Luggage Nested Spinner Set (20"/24"/28") (Multiple Colors available) for a low $239.00 Free Shipping. Tax in NY, NJ, CT, TX. This is currently $300 elsewhere, so you're saving at least 30% off. Seize the deal before it’s gone. 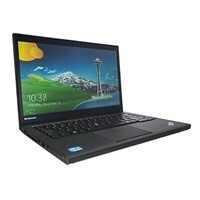 Check out Lenovo Thinkpad T440S Intel Core i7-4600U 1080p Touch 14" Laptop w/ 240GB SSD, 12GB RAM (Off-Lease Refurb) $469.99 at PCMag Shop now. Find more discounts and offers from PCMag Shop just at CouponAnnie in April 2019. 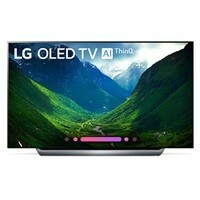 * PCMag Shop has the LG OLED77C8PUA 77" 4K HDR AI Smart OLED HDTV for a low $5,699.00 Free Shipping. Tax in NY, NJ, CT, TX. This normally sells for $6000 elsewhere, so you're saving $300 off. * PCMag Shop has the ZeroTech DOBBY Mini Selfie Pocket Drone w/ 4K HD Camera for a low $159.99 Free Shipping. Tax in NY, NJ, CT, TX. This is originally $200, so you save 25% off. * PCMag Shop has the Refurbished HP Pavilion 590 Intel Core i5-8400 Win10 Home Desktop w/ 16GB Intel Optane Memory + 1TB HDD & 90 Day HP Warranty for a low $459.99 Free Shipping. Tax in NY, NJ, CT, TX. This is normally $600 new, so you save 23% off. 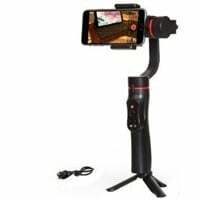 * PCMag Shop has the Deco Gear 3-Axis Handheld Cell Phone Gimbal Stabilizer for a low $92.99 Free Shipping. Tax in NY, NJ, CT, TX. This is originally $120, so you save 17% off. Seize the deal before it’s gone. Check out Ninja BL740 Metallic 72oz. 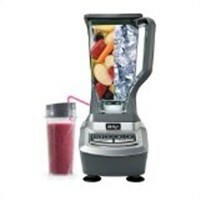 Professional Blender and Single Serve $129.99 at PCMag Shop now. Find more discounts and offers from PCMag Shop just at CouponAnnie in April 2019. Seize the deal before it’s gone. Check out $1,000 off LG Electronics 65" 4K Ultra HD Smart OLED TV at PCMag Shop now. Find more discounts and offers from PCMag Shop just at CouponAnnie in April 2019. 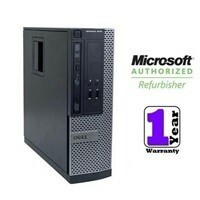 * PCMag Shop has the Off-Lease Refurbished Dell Optiplex 3020m Intel Core i5-4590T Quad-core Micro Form Factor Desktop with 18 Month Warranty for a low $228 Free Shipping after code "SAVE5". Tax in NY, NJ, CT, TX. This is $389 originally, so you save 41% off. 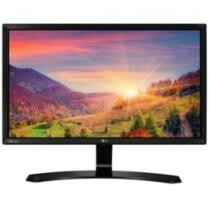 * PCMag Shop has the LG 34UM60-P 34in 1ms IPS WFHD Ultrawide Freesync Monitor (2560x1080) for a low $289.99 Free Shipping. Tax in NY, NJ, CT, TX. This is pretty close to the same low price as elsewhere, however you may save on Tax and LCD recycling fees. Seize the deal before it’s gone. 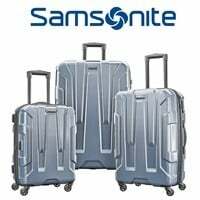 Check out Samsonite Centric 3-Piece Hardside Spinner Nested Luggage Set w/ 10-Year Warranty $239.99 at PCMag Shop now. Find more discounts and offers from PCMag Shop just at CouponAnnie in April 2019. Seize the deal before it’s gone. Check out HP Probook 640 G1 Intel Core i5-4300m 14" Win 10 Pro Laptop w/ 320GB HDD Bundle (Off Lease Refurb) $279.99 at PCMag Shop now. Find more discounts and offers from PCMag Shop just at CouponAnnie in April 2019. 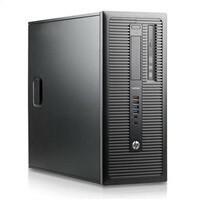 * PCMag Shop has the Off-Lease Refurbished Dell OptiPlex 3010 Intel Core i5-3470 Desktop w/ 240GB SSD & 1 Year Warranty by CNB Computers for a low $269.99 Free Shipping. This is normally $350, so you're saving 22% off with this deal. 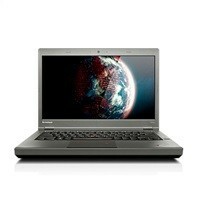 * The slim-line T Series are Lenovo's #1 best seller for its combination of business utility, portability and design. We bought the previous generation and swapped out for a larger m.2 SSD while keeping the internal hard drive for additional storage. Seize the deal before it’s gone. 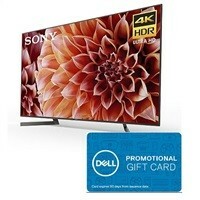 Check out Buy More Save More: $75 Gift Card w/ $500 Purchase or $150 Gift Card w/ $1000 Purchase at PCMag Shop now. Find more discounts and offers from PCMag Shop just at CouponAnnie in April 2019. * PCMag Shop has the Refurbished Dell Inspiron 15 7000 (7577) Intel Core i5-7300HQ Quad-Core 15.6" Gaming Laptop w/ 6GB GeForce GTX 1060, 1080p IPS Display, 256GB PCIe SSD, and Dell Warranty until July 13, 2019 for a low $807.50 Free Shipping after Code: "SAVE5" (Exp Soon). Tax in NY, NJ, CT, TX only. 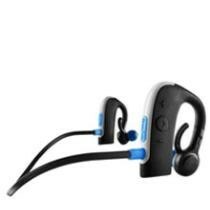 * PCMag Shop has the Beats by Dr Dre Tour2 Active In-Ear Headphones (Blue, Red, White, Yellow) for a low $66.50 Free Shipping after Coupon Code: "SAVE5" (Exp Soon). Tax in NY, NJ, CT, TX. This normally retails for $80, so you're saving 16% off with this deal. 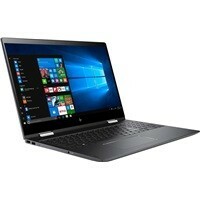 * PCMag Shop has the Grade A Refurbished HP Elite x2 1012 Intel Core m7-6Y75 12" Touch 1080p 2-in-1 Laptop w/ 512GB SSD + 90 Day Warranty for a low $617.50 Free Shipping after Coupon Code: "SAVE5" (Exp Soon). Tax in NY, NJ, CT, TX. This normally retails for $650, so you're saving $32 off with this deal. * PCMag Shop has the Sticky Password Premium: 1-Year Subscription for a low $12.99 Free Shipping. This is $17 off retail, saving you 56% off. * PCMag Shop has the Lenovo ThinkPad X1 12" Intel Core m5-6Y75 Hybrid Laptop w/ Detachable Keyboard & Stylus for a low $579.99 Free Shipping. Tax in NY, NJ, CT, TX. This normally retails for $700, so you're saving $120 (17%) off with this deal. Seize the deal before it’s gone. 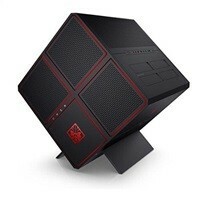 Check out $100 Premium Electronic Mystery Box + Free Shipping at PCMag Shop now. Find more discounts and offers from PCMag Shop just at CouponAnnie in April 2019. 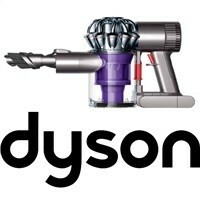 * PCMag Shop has the Dyson DC58 V6 Trigger Bagless Cordless Stick Vacuum Cleaner for a low $169.99 Free Shipping. Tax in CT, TX, NY, NJ. This is normally $200, so you're saving $71 off with this deal. * PCMag Shop has the Luma Home Wireless AC Dual-Band WiFi Router (3-Pack) for a low $99.74 Free Shipping after Coupon Code: "SAVE5" (Exp Soon). This normally retails for $200, so you're $105 off and getting a great deal on a mesh router kit at $31/access point - one of the best prices we've seen on a WiFi Mesh. Seize the deal before it’s gone. 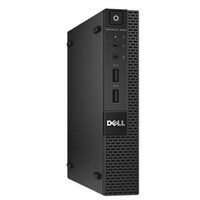 Check out Dell Optiplex 9020m Micro Intel Core i5-4570T Quad Win10 Pro Mini Computer w/ 256GB SSD (Off-Lease) $409.99 at PCMag Shop now. Find more discounts and offers from PCMag Shop just at CouponAnnie in April 2019. * PCMag Store has the LifePod Ultra Slim Portable/External 4000mAh Battery for a low $18.99 Free Shipping. after Coupon Code: "save5" (Exp Soon). Tax in NY, NJ, CT, TX. This is normally $30 so you save $10 off. 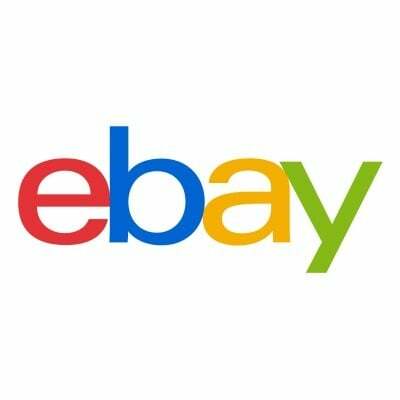 * PCMag Shop is offering a Mystery Box starting at $100.00 Free Shipping. Tax in NY, NJ, CT, TX. Seize the deal before it’s gone. 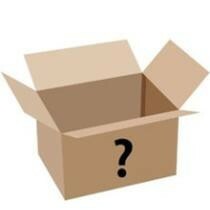 Check out PCMag Shop Mystery Tech Boxes from $10 + Free Shipping at PCMag Shop now. Find more discounts and offers from PCMag Shop just at CouponAnnie in April 2019. * PCMag Shop has the HP EliteDesk 800 G3 Intel Core i7-6700T Quad-Core Windows 10 Micro Desktop w/ 3 Year Warranty for a low $627.00 Free Shipping after Coupon Code: "SAVE5" (Exp Soon). Tax in NY, NJ, CT, TX. 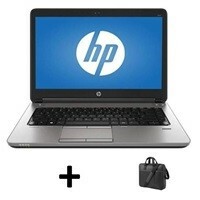 This configuration goes for over $900 from HP, so you save 27% off. Seize the deal before it’s gone. 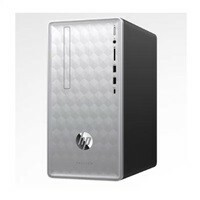 Check out HP Pavilion 570 Intel i7-7700 Quad Core Desktop w/ 12GB RAM (Refurb) $559.99 at PCMag Shop now. Find more discounts and offers from PCMag Shop just at CouponAnnie in April 2019. Seize the deal before it’s gone. 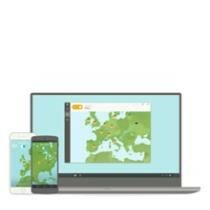 Check out Learn to Code! $9.99 Courses at PCMag Shop now. Find more discounts and offers from PCMag Shop just at CouponAnnie in April 2019. 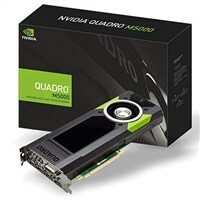 * PCMag Shop has the NVIDIA Quadro M5000 8GB GDDR5 Workstation Graphics Card w/ 1 year HP Warranty for a low $999.99 Free Shipping. Tax in NY, NJ, TX, CT. This is originally $1500, so you save $500 off. * PCMag Shop has the Off-Lease Refurbished HP ProDesk 600 G1 Intel Core i3-4160T Win10 Pro Micro Desktop w/ 8GB RAM, 256GB SSD & 1 Year Warranty for a low $279.99 Free Shipping. This is originally $500, so you save 44% off.PCMag Shop also has the Off-Lease Refurbished HP ProDesk 600 G1 Intel Core i5-4570 8GB RAM 240GB SSD Win10 Pro SFF Desktop + Acer 22" V226HQL LCD Monitor for a low $459.99 Free shipping. * PCMag Shop has the refurbished iRobot Roomba 805 Vacuum Cleaning Robot with 2 Virtual Walls + Bonus Filter, for a low $237.50 Free Shipping after Coupon Code: "SAVE5" (Exp Soon). Tax in NY, NJ, CT, TX. This is normally $300 refurbished elsewhere so you save 17% off. Seize the deal before it’s gone. Check out Shark NV500 Rotator Professional Lift-Away Bagless Upright Vacuum w/ HEPA Filter $142.49 at PCMag Shop now. Find more discounts and offers from PCMag Shop just at CouponAnnie in April 2019. Seize the deal before it’s gone. 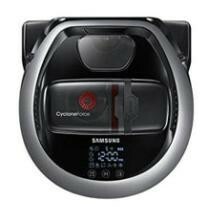 Check out $299 Samsung Powerbot Pet Robot Vacuum Refurb + Free Shipping at PCMag Shop now. Find more discounts and offers from PCMag Shop just at CouponAnnie in April 2019. Seize the deal before it’s gone. 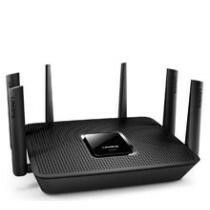 Check out $135 Linksys Max-Stream AC4000 Tri-Band Router (Refurb) + Free Shipping at PCMag Shop now. Find more discounts and offers from PCMag Shop just at CouponAnnie in April 2019. * PCMag Shop has the Refurbished Dell Inspiron 22 3264 21.5" Intel Core i3 7100U 4GB/1TB All-in-One Desktop for a low $408.50 Free Shipping after Coupon Code: "SAVE5". Tax in NY, NJ, CT, TX. 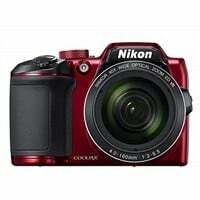 This is $500 new elsewhere so you save 15% off or $20 less than Amazon for Refurbished models. Seize the deal before it’s gone. Check out $19.99 BlueAnt Pump Wireless HD Bluetooth Sports Headphones + Free Shipping at PCMag Shop now. Find more discounts and offers from PCMag Shop just at CouponAnnie in April 2019. 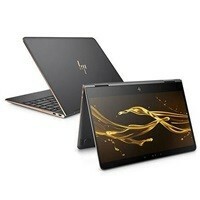 * PCMag Store has the Refurbished HP Spectre x360 15 Intel 7th-gen Core i7-8550U Quad-core 15.6" 4K Ultra HD 3840x2160 Touchscreen Laptop w/ 512GB PCIe SSD, and 16GB RAM, 2GB GeForce MX150 & 90-Day Manufacturer Warranty for $1,049.99 Free Shipping. Tax in CT, NJ, TX only. 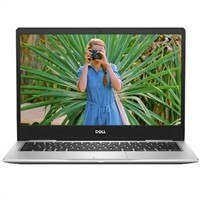 * PCMag Shop has the Dell "Grade A" Manufacturer Refurbished Dell Inspiron 13 7373 i5-8250U 13.3" 1080p Touch Laptop w/ 256GB SSD, 8GB RAM & Dell Warranty until June 24 2019 for a low $729.00 Free Shipping. This normally retails for $799, so you're saving $39 off with this deal. 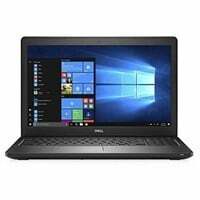 * PCMag Shop has the Refurbished Dell Inspiron 17 7000 (7773) Intel Core i7-8550U 17.3" 1080p Touch Laptop w/ 16GB RAM, 2TB HDD, GeForce MX150 & Dell Warranty until August 2018 for a low $959.00 Free Shipping. Tax in NY, NJ, CT, TX. * The X900F compares favorably to the more expensive Samsung's 8QF QLED TVs at a much lower price point. Ratings agree this has great picture quality, with good contrast thanks to its full-array LED, and 120Hz refresh rate + low input lag makes it great for gaming. Seize the deal before it’s gone. Check out Oakley Radar Pace Smart Intelligent Sunglasses $190 at PCMag Shop now. Find more discounts and offers from PCMag Shop just at CouponAnnie in April 2019. 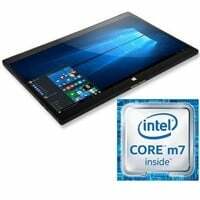 * PCMag Shop has Refurbished Dell Latitude 12 7000 (7275) Intel m7-6Y75 12.5" 1080p Win10 Pro Touch 2in1 Tablet w/ 256GB SSD, 8GB RAM, Dell Warranty until 11/2018 for a low $399.00 Free Shipping. Tax in CT, TX, NY, NJ. Please note, this does not come with a keyboard. This is originally $550, so you save 27% off. Seize the deal before it’s gone. Check out $44.99 TunnelBear VPN - One Year Subscription at PCMag Shop now. Find more discounts and offers from PCMag Shop just at CouponAnnie in April 2019. * PCMag Shop has the Klipsch R-15PM Powered Monitor Speakers (Pair) + Pro-Ject Primary Turntable Bundle for a low $399.99 Free Shipping after Coupon Code: "KLIPSCH50". Tax in NY, NJ, CT,, TX Only, This bundle sells for $488 at Amazon, so you save $88 off. 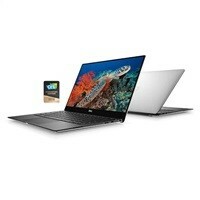 * PCMag has the Refurbished Dell XPS 13 (9370) Intel Core i7-8550U 3840x2160 4K InfinityEdge Touch 13.3" Laptop w/ 16GB RAM, 512GB SSD & Dell Warranty until May 2019 for a low $1529.00 Free Shipping. Tax in NY, NJ, CT, TX. 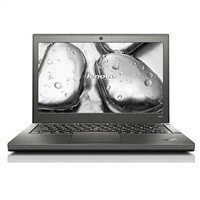 Laptops of similar specs go for $1689 new, so you save over $150. Seize the deal before it’s gone. 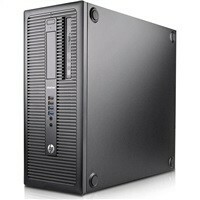 Check out HP Slimline 270 Intel Core i5-7400t Quad-Core Desktop (Refurb) $379.99 at PCMag Shop now. Find more discounts and offers from PCMag Shop just at CouponAnnie in April 2019. 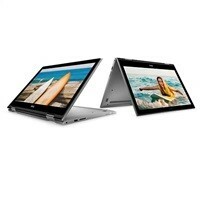 * PCMag Shop has the Refurbished Dell Latitude 15 3580 Intel Core i5-7200U 15.6" Win10 Pro Laptop w/ 90-Day Warranty for a low $549.00 Free Shipping. Tax in NY, NJ, CT, TX. Similar models new sell for $699, so you save 21% off. 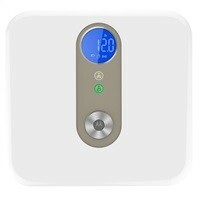 * -- Motorola Smart Scale w/ Smartphone Weight Tracking & Tare Function for $19. * -- 2-Pack Motorola Smart Scale w/ Smartphone Weight Tracking & Tare Function for $33.25. * PCMag Shop has the HP Omen X 900-035XV Intel Core i7-6700K Gaming Desktop w/ 32GB RAM, 256GB SSD + 2TB HDD, 4GB Radeon R9 Fury X, and 1 Year HP Warranty for a low $1599.99 Free Shipping. Tax in NY, NJ, CT, TX. This normally retails for $1650, so you save $50 off. * PCMag has the Refurbished HP EliteBook Folio G1 Intel Core m5-6Y54 12.5" 1080p Laptop w/ 90-Day Warranty for a low $449.99 Free Shipping after Coupon Code: "SAVE50" (Exp soon). Tax in NY, NJ, CT, TX. 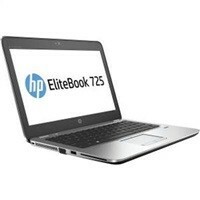 An HP EliteBook Folio G1 with similar specs sells at HP for $1049 new, so you save 57% off. Seize the deal before it’s gone. 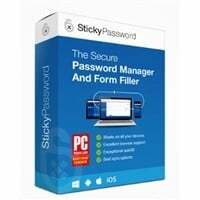 Check out $12 Sticky Password Premium 1 Year Subscription at PCMag Shop now. Find more discounts and offers from PCMag Shop just at CouponAnnie in April 2019. * PCMag Shop has the Refurbished Alienware 17 R4 Intel Core i7-7820HK Quad-Core 17.3" Gaming Laptop w/ 8GB GTX 1080, QHD 120Hz G-Sync Display, 32GB RAM, Tobii Eye Tracking, & 90-Day Warranty for a low $1,999.99 Free Shipping after Coupon Code: "SAVE200" (Exp soon). Tax in NY, NJ, CT, TX. This is originally $2,450, so you save 18% off. 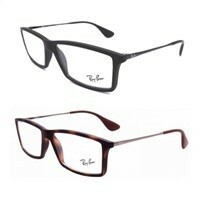 * PCMag Shop has the Ray-Ban Matthew RX7021 Full-Frame Eyeglasses (Black, Havana) for a low $44.99 Free Shipping. Tax in NY, NJ, CT, TX. This is originally $120, so you save 62% off with this deal. 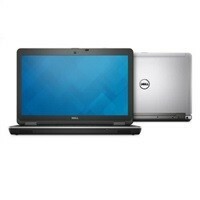 * PCMag Shop has the the Off-Lease Refurbished Dell E7270 12.5" Touch 1080p Intel Core i7-6600U 8GB RAM 512GB SSD Laptop with 1 Year CNB Warranty for a low $529.99 Free Shipping. Tax in NJ, CT, TX. This is originally $1200, so you save 59% off. 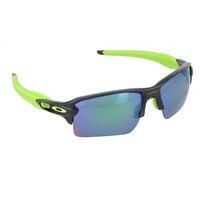 * PCMag Shop has the Oakley Flak 2.0 Xl Polarized Jade Iridium Sunglasses for a low $129.00 Free Shipping. This is $193 elsewhere, so you save 33% off. 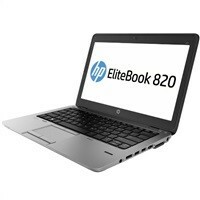 * PCMag Shop has the HP EliteBook 725 G3 12.5" AMD A10-8700B Notebook Laptop w/ 8GB RAM, 256GB SSD for a low $699.00 Free Shipping. Comes with a 3 year warranty. 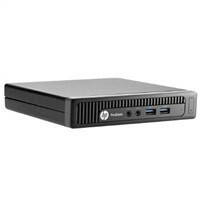 * PCMag Shop has the HP Z2 Mini G3 Workstation Intel Core i7-6700 Quad-Core Mini Desktop w/ 16GB RAM, 512GB SSD (Refurb) for a low $849.00 Free Shipping. Comes with a 1-Year HP Warranty. This is originally $999, so you save 15% off. 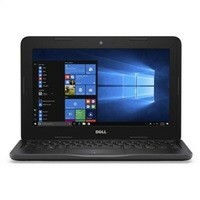 * PCMag Shop has the Grade A Refurbished Dell Latitude 3180 Intel Pentium N4200 11.6" Win10 Pro Laptop w/ 4GB RAM, 64GB eMMC for a low $299.00 Free Shipping. Save $100 off the retail price.This 11.6" laptop provides a cost-effective learning solution built with best-in-class durability to withstand every school day. Comes with a Dell Warranty that lasts until December 2018. Seize the deal before it’s gone. Check out Ready Player One Sale: Extra 10% off Select Goods & Apparel at PCMag Shop now. Find more discounts and offers from PCMag Shop just at CouponAnnie in April 2019. Seize the deal before it’s gone. 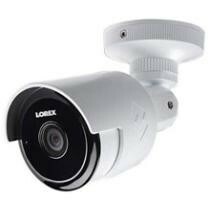 Check out 27% off Lorex 2K 4MP Wi-Fi Bullet Security Camera (Refurbished) + Free Shipping at PCMag Shop now. Find more discounts and offers from PCMag Shop just at CouponAnnie in April 2019. 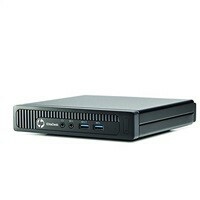 * PCMag Shop has the HP EliteDesk 705 G1 AMD A8 Pro-7600B Win10 Tiny Desktop w/ 8GB RAM, 500GB HDD (Refurb) for a low $369.00 Free Shipping. HP "Grade A" Refurbished with a 90 Day Refurbisher Warranty. Seize the deal before it’s gone. Check out HP ENVY x360 15m AMD FX-9800P Quad 15.6" 1080p 2-in-1 Laptop (Refurb) $549.99 at PCMag Shop now. Find more discounts and offers from PCMag Shop just at CouponAnnie in April 2019. * PCMag Shop has the Motorola Smart Nursery Baby & Me Scale for a low $44.99 Free Shipping. This is originally $75, so you save 40% off. 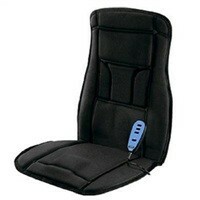 * PCMag Shop has the Conair Body Benefits Heated Massaging Seat Cushion w/ Remote for a low $32.99 Free Shipping. Where to find the latest PCMag Shop coupon codes? It’s getting more and more difficult to find coupons and get lowest prices that save a smart shopper a decent amount of money. Luckily, CouponAnnie have done all the legwork for you so you don’t have to compare prices, find discounts and score bargains. Here, you can find the best of PCMag Shop deals, coupon codes and discounts for April 2019. With our handpicked and machine-learning-algorithmed coupon codes and discounts, we make your online shopping with PCMag Shop much easier, cheaper and smarter than ever. Save on all things big and small with CouponAnnie today! Have this in mind first and foremost: Using coupon filters to easily locate what you are looking for with PCMag Shop. These filters include: Total Offers, Coupon Codes, Online Sales, Product Deals, and most importantly, Holiday Sale! Remember, always check the Holiday Sale first for the best prices and biggest discounts of the season or even throughout the year. Also, keep and eye on the "Amazon’s Choice" or "Editor’s Choice" coupons because they are usually the best and verified PCMag Shop coupon codes that will save you a lot. Moreover, you can visit our quick links of PCMag Shop or directly go to its official website to discover what suits you for yourself. See? Finding PCMag Shop coupon codes is that easy! How to use PCMag Shop coupon codes? Go to PCMag Shop official website https://shop.pcmag.com/ and add your desired items to your shopping cart. 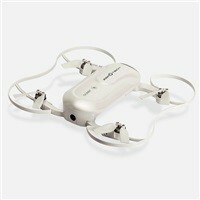 Find PCMag Shop coupon codes on this page. Click "Get Code" and copy the code in the box and it will be pasted to your clipboard. Note: If no code is required, just follow the link and start saving directly on PCMag Shop website. Switch to the previous tab opened in your browser. Paste the coupon code into something like "Promo code" or "Coupon code" or "Discount code" box at checkout page on PCMag Shop website. Fianlly, apply the PCMag Shop coupon code and the page should reflect your savings amount. Now you are good to continue your purchase. PCMag Shop Coupon code not working? Try these tips. Read PCMag Shop terms and conditions. Sometimes, exclusions may apply, and discount applies to selected products or categories. Note that prices or coupon codes sometimes expire unexpectedly, and therefore, there might be some PCMag Shop coupons and deals unavailable at the price we could find at the time of publication. 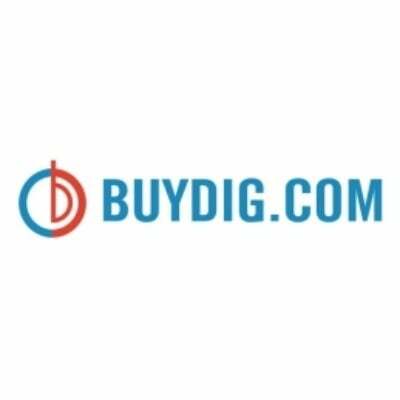 In order to get the latest PCMag Shop coupon codes and deals, please check this page regularly to save big with PCMag Shop. 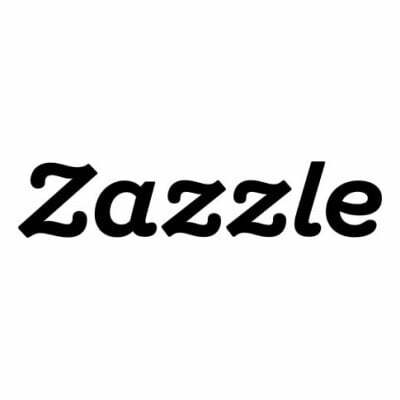 Couponannie's PCMag Shop deals, promo codes & coupon codes give you the best possible prices when you purchase your favorite brands in U.S in April 2019. 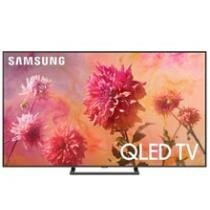 See what' s popular on PCMag Shop today: $1,800 off Samsung Q9F QLED Series 4K UltraHD HDR Smart TV + Free Shipping. PCMag Shop serves up an enticing array of offers each week - free gift deals, freebie promo codes, free shipping coupon codes, and more! Scope them all out here. These PCMag Shop deals and promo codes will save you as much as 68% off discount on hundreds of items from PCMag Shop. Want to be budget-savvy? Then grab one of the PCMag Shop deals and promo codes from Couponannie before you start researching across the web.One more thing, don’t forget to shop PCMag Shop Easter, Earth Day sales for deeper discounts in April 2019.